This review was first published in The Friend in 2016. Brian Bridge, a member of the Russian Orthodox Church and an attender at Epping Local Meeting, has written a fascinating history of an Anglican group with strong Quaker connections and affinities. The Servants of Christ the King (SCK) was formed in England during the Second World War, and adopted a practice of waiting on God in silence. SCK was founded in 1943 as a ‘fellowship of fellowships’ with groups around the English-speaking world. The original vision was of an Anglican lay order with an evangelising focus, acting in obedience to local Anglican churches and living by a strict rule of devotion and fellowship. SCK did not become an Order, and was known instead as a ‘movement’. The primary unit of SCK was a company of between four and twenty people. There were two types of company: parochial, based in local congregations with a focus on the parish; and vocational, based in the world of work. Bridge argues that “the basis of SCK is, put simply, to wait on God together in whatever situation a group finds itself and to obey the divine imperative if and when that was discerned” (p.viii). A company would find out what it had to do by waiting upon God in silence. In this process, careful discernment was recognised to be an essential discipline, because not every spirit is of God. “By putting the practice of waiting on God at the very centre, SCK recognised that any group which wishes to be obedient to the inspiration of the Holy Spirit must be prepared to let go of its presuppositions and to give its first attention to learning to be people whom God can guide” (p.13). In the SCK movement, small autonomous companies met to wait on God based on a conviction that there is an indivisible bond between contemplation and action. The method involved a cycle of prayer and discussion consisting of silent prayer, controlled discussion, free discussion, further silent prayer, further discussion, the testing of unanimity, the making a record and the offering of the record. Unanimous decisions were to be binding on all members of the company. However, a priest-advisor had the ultimate power of veto, indicating the movement’s obedience to the wider Anglican Church. The founders of SCK hoped that it would reach people whom the English parish system had been unable to touch. This suggests that SCK was, at least in part, a response to the apparent decline of Christendom; “its purpose would be to recruit a sufficiency of believers for the building of a Christian England” (p.3). The focus on companies indicated a desire to foster deep fellowship between people within an increasingly individualist culture. As we have already noted, SCK sought to bind together contemplation and action. The SCK approach aimed to encourage the ‘naturally contemplative’ to act after contemplation and the ‘naturally activist’ to practice contemplate before acting. Gonville ffrench-Beytagh, who was the Warden of SCK during the 1970s, argued that “Waiting on God does not exist only for our own spiritual advancement but is designed to explode into action” (p.133). The SCK movement started out with much hope and enthusiasm. At the founding conference in January 1943, the practice of waiting on God in silence galvanised and gave direction to the group. By 1944, there were forty active SCK companies. 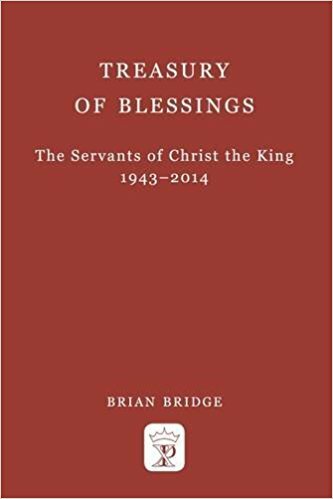 In July 1953, founding member Roger Lloyd published An Adventure in Discipleship: The Servants of Christ the King, which was an important and influential exposition of the SCK way. However, although SCK companies flourished in parishes, this was not replicated in other areas, and by 1959 there were still fewer than one hundred and twenty active companies in Britain, with about one thousand members. During the 1960s, the Warden, Olive Parker, urged greater public promotion of SCK, and the movement became more ecumenical in outlook. However, it wasn’t until 1996 that a non-Anglican was appointed as Warden. During the 1970s, Gonville ffrench-Beytach attempted to expand SCK by drawing inspiration from the emerging charismatic movement and renewed interest in the mysticism of the Eastern Church. However, although it had been a youthful movement in the early days, by the 1970s, SCK’s membership was aging. In 2005, SCK appointed its last Warden, Wendy Robinson, and by 2013, the organisation had no treasurer and the average age of its remaining office-holders was over eighty. Robinson arranged for Rowan Williams to speak at the final SCK conference in 2014, but sadly died before this could happen. It is clear that the evangelical objectives of the SCK founders’ vision had not been realised. 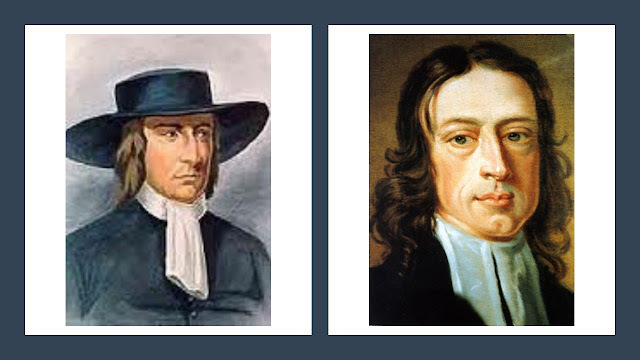 Although Bridge asserts that the Quaker influence on SCK was “indirect and had already been filtered and adapted to an Anglican understanding of church and sacraments before SCK began” (p.59), many interesting similarities and interconnections can be observed, the most obvious being that both groups have given a central place to waiting on God in silence as a practice of corporate discernment. This is also linked to a shared conviction that contemplation leads to divine guidance, spiritual empowerment and action in the world, and that no decision should be taken without unity or unanimity. The concept of ‘concern’ has been important to both groups. However, while Friends understand concern as an individual calling, in SCK, it was seen in terms of a whole-company vocation. In addition to the similarities, the involvement of a number of individuals further reveals the connections. Edmund Morgan, who was later Bishop of Southampton and Truro, and one of the founders of SCK, met Quakers at Woodbrooke when he was the Warden of the College of the Ascension in Selly Oak, Birmingham. In 1934 he brought together a small group of college staff to meet for shared worship, discernment and decision-making using the Quaker method. Over the years, a number of SCK Wardens have had Quaker connections. Robin Bennett was appointed as Warden in 1984. He was an Anglican Priest, but became a Quaker during his term of office. Two other Wardens, Brian Bridge (appointed in 1996) and Wendy Robinson (appointed in 2005) had both been Friends and later joined the Russian Orthodox Church. The SCK story highlights a range of issues which are relevant to Quakers and the wider Christian church. These include the dynamic tension between individual spiritual freedom and accountability to the wider community, between the autonomy of individual groups and loyalty to a larger corporate body, between spiritual openness and pre-determined purposes and between contemplation and activism. In addition, the experience of SCK raises a key question about inclusivity. Can this kind of discipline include everyone or is it only suitable for those with a special vocation? Similarly, is this sort of practice only meaningful within a religious context, or can it be applied within other settings? Finally, this history of SCK makes a valuable contribution to the on-going story of small religious groups who feel called to a dedicated practice of prayer and discipleship. This includes, amongst others, the monastic orders, Anabaptist congregations, Quaker meetings and Methodist classes and bands. I recommend this book which is published as a quality hardback, sold at a paperback price. 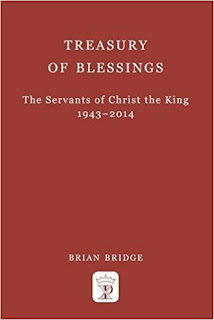 Bridge, Brian (2016) Treasury of Blessings: The Servants of Christ the King, 1943-2014 (York Publishing Services), £10.00.